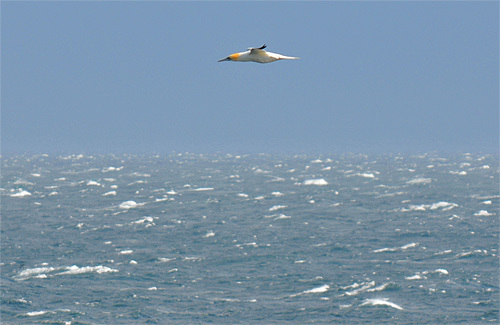 That's a Gannet in flight over the sea on a quite windy day in June 2012. I took the picture from Port Wemyss, looking out over the sea to the south past Orsay. As it is already Saturday I've already posted a larger version on the photoblog, you'll find it under Gannet Over Rough Seas Off the Isle of Islay. Enjoy the weekend, if you're in Rutland for the birdfair please say hi to the Islay crew!